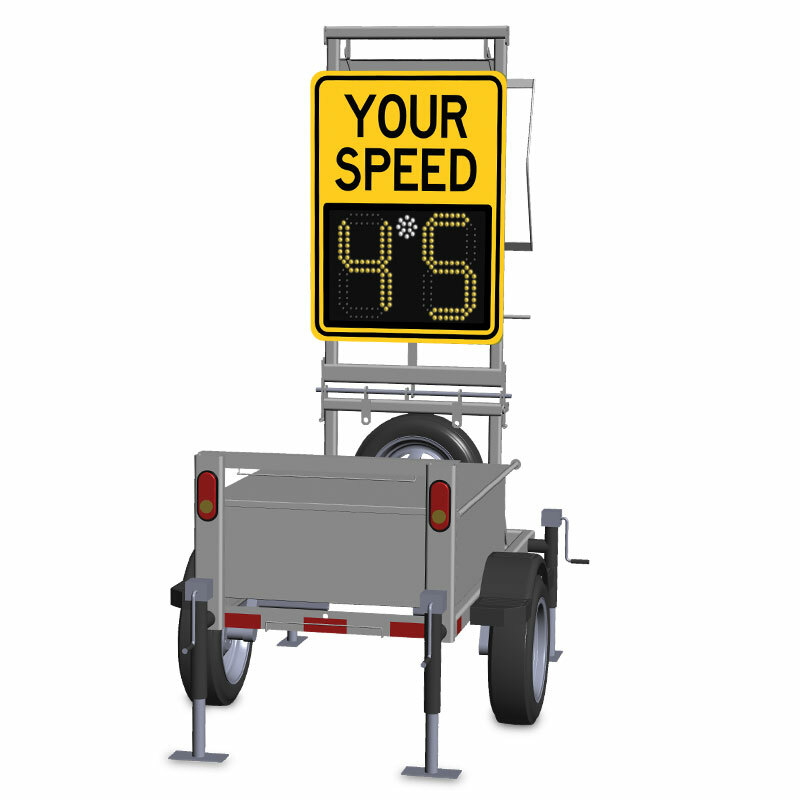 The SafePace Cruiser radar speed sign trailer is designed for quick deployment of your SafePace radar speed sign. Whether you’re using the optional built in solar power system or direct power, the speed trailers can be deployed for days, weeks, or even months at a time. The sturdy radar trailers fold down for transporting and can be deployed in a matter of minutes, allowing you to rotate your radar signs to different locations quickly and easily. The sleek design allows for smooth towing on even the smallest of vehicles. Built to last, the SafePace Cruiser speed trailers will help you to slow traffic and protect your city’s streets for years to come.